· Working on developing open water swimming technique and specific open water skills including stroke rate, sighting & drafting. 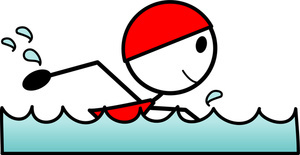 Note – We cannot cater for learn to swim (Facility rules). Therefore you need to be able to swim a minimum of 2 lengths unassisted. Ideally you should take some swimming lessons if you can’t swim the required distance. The sessions are open to anyone of any level. Cost € 35 for a 10 week term. The cost is to cover pool hire.